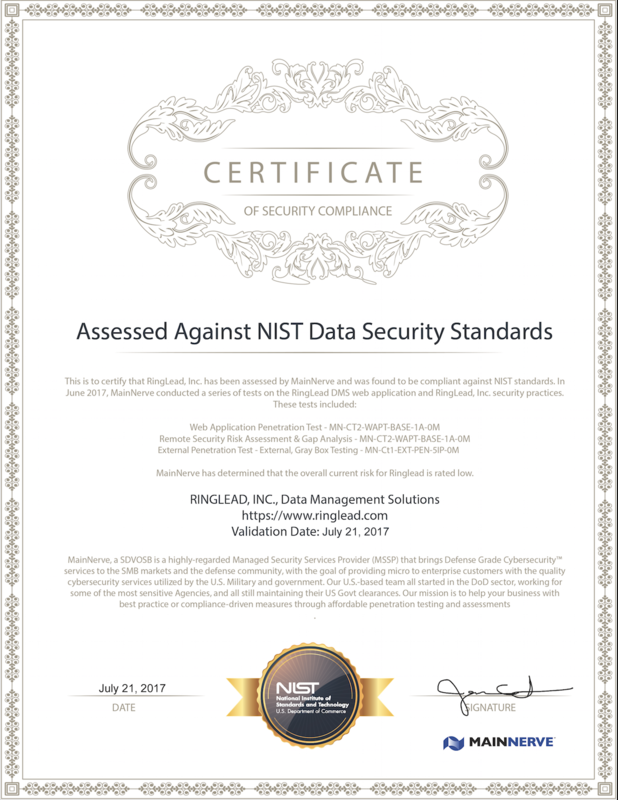 MELVILLE, N.Y., August 3, 2017	(Newswire.com) - RingLead, Inc., an industry-leading SaaS data management provider, recently completed its annual security audit through MainNerve, a certified provider of comprehensive cybersecurity services, penetration testing, and compliance assessments and solutions. 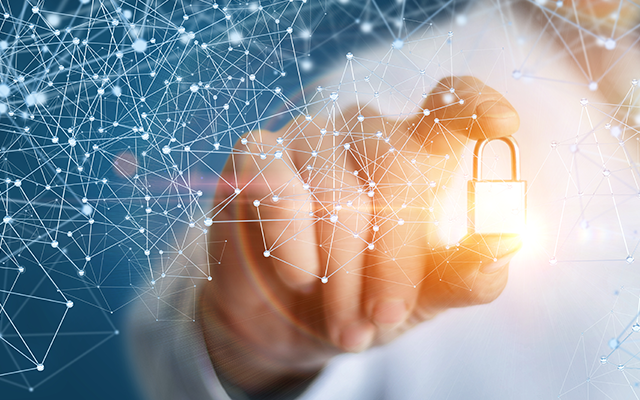 At the end of testing, RingLead was found to be compliant against NIST standards, passing assessments for data protection, web application penetration, network penetration, and risk assessment. Ongoing security audits enable RingLead to adhere to current security protocols and best practices, ensuring customer data is always protected at the highest possible level. "The security of our customers' data is at the forefront of everything we do at RingLead," said Russell Artzt, RingLead's Executive Chairman. "We understand that companies are trusting us with their most valuable asset when they choose RingLead. We take their trust very seriously. The passing of our most recent security audit reflects our commitment to providing secure solutions that leave our users with peace of mind." "RingLead's Security Certification reinforces our mission to provide only the highest quality value, service and support to all of our customers when cleaning, enriching and appending data," said Christopher Hickey, RingLead's CEO. "We are thrilled to have a Certificate of Security Compliance awarded by a leading cybersecurity organization, and we are committed to continuously auditing our systems and processes to protect our customers." RingLead is a leader in data quality and has been providing data solutions to large enterprises, Fortune 500 companies and small businesses for over a decade. RingLead currently protects and enriches more than 300 million records daily worldwide. RingLead introduces new features for their Salesforce app DMS Scanner, to help companies identify duplicates and empty fields inside their CRM in minutes.